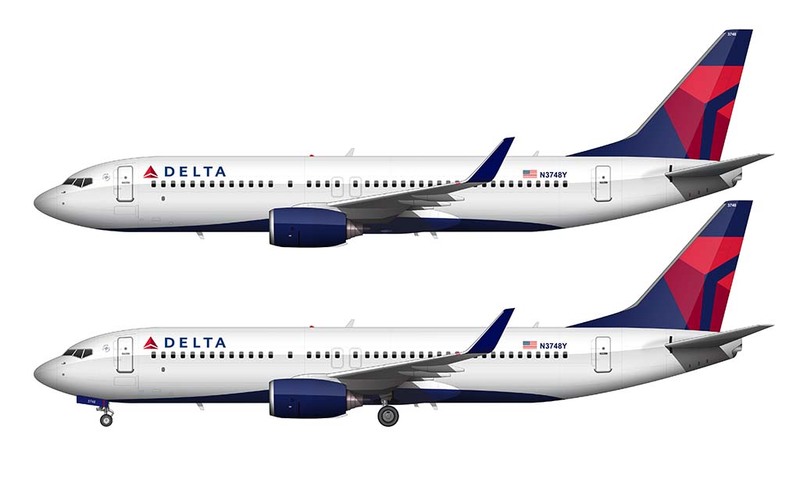 As a quick follow up to the KLM 737-800 illustration I just posted, here is a Delta Airlines version of it in the latest livery. Being that Delta is the airline that I fly most these days (by convenience – not necessarily preference), I thought it was only appropriate to draw it up. Especially since Delta 738′s are pretty much becoming as common as mud here in the US, and I’m finding myself on these things more and more on my travels in and out of SAN. 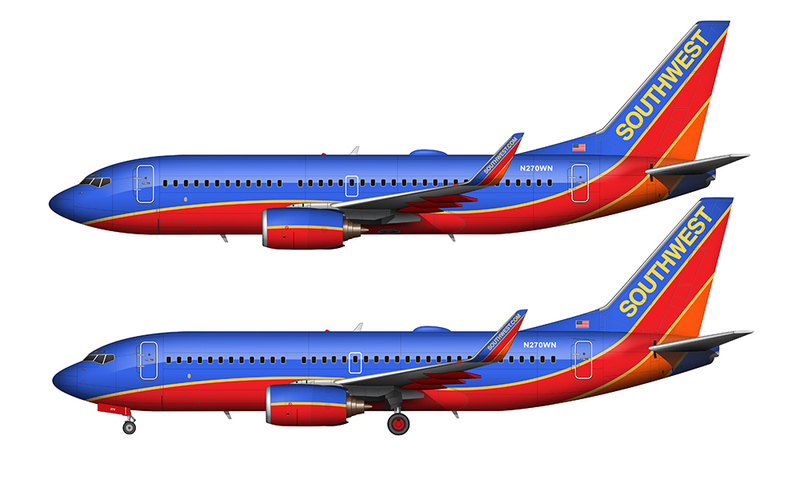 10 years ago the 757 was the DL workhorse out of San Diego, but now it appears that the torch is being handed off to the 737. I started this illustration late at night, just before bedtime thinking that it would be very quick and easy to do. Wrong. To be fair, yes, it’s not that complicated. 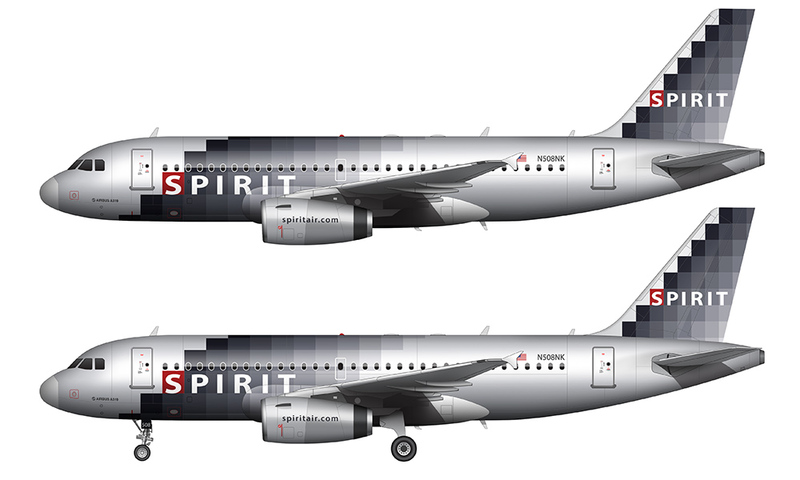 However, the wave on the belly of the aircraft that protrudes up the sides was a little bit difficult to get right – especially since I couldn’t find a decent reference photo of a true side-on profile with this livery with the gear doors open. I wasn’t exactly sure how much of the wave is visible in the front when the gear door is open, so what you see here is just my best guess. It’s stuff like this that makes these illustrations take a long time to create. And because of that, I don’t consider any of my illustrations to ever be complete. I have a list of things that I would like to fix and modify once I find proper reference material for, so it’s quite a lot of work.